Neighbors in Need is a special mission offering that supports works of justice and compassion in the United States and abroad. Two-thirds of the Neighbors In Need receipts support program initiatives and direct grants offered through the UCC’s Justice and Witness Ministries. Neighbors in Need makes available annual grants. To that end, this page highlights some of the ministries who have received a grant and how they found success with it in their communities. We are excited to share these stories of faith and transformation with you and hope you find value in their witness too. For more extensive information about Neighbors In Need or the NIN grant process, visit the NIN homepage or email nin@ucc.org. A United Church of Christ sanctuary church offering immigrants refuge in the Arizona borderlands will soon be offering a place of hospitality, support and hope on the Mexican side of the border for people who find themselves deported from the United States. The Shadow Rock UCC Sanctuary Action Team and the Rev. Ken Heintzelman, in an extension of the spirit and intent of their ministry of sanctuary in Phoenix, are in the process of establishing Hope Station Nogales, in Sonora, Mexico. The thought is Hope Station, which was funded in part by a $10,000 grant from Neighbors in Need, can be a place of transition, a place where people who are deported but have family in the U.S. can find a meal, safe lodging and assistance. Read more via UC News. When LGBTQ individuals near the campus of Clemson University, in the areas of upstate South Carolina unexpectedly find themselves without a home or a place to feel safe, Peace Congregational United Church of Christ will be ready to meet them. Congregation members and the Clemson community are working side-by-side in the design and construction of a tiny house, a mobile residency for a person in the LGBTQ community who is no longer welcome in at home. The $20,000 project is in progress with the help of a $10,000 Grasstop Grant from UCC Justice and Witness Ministries. The first occupant could be ready to find refuge there in January. Every weekend, a congregation of the United Church of Christ in Alabama opens up space for LGBTQ teens to feel safe. Ordinarily, these teens might not step foot on church property, explains the Rev. Ellen Guide Sims, pastor of Open Table UCC in Mobile, Ala., because they may have been hurt by the message of some churches that they are unwelcome. But Open Table, with the help of an LGBT-advocacy organization in the state and a $10,000 grant from UCC Justice and Witness Ministries, is showing these teens that there is a place where they can be themselves. "This is a safe space we provide every Saturday for LGBTQ teens in Mobile," Sims said. "No exceptions." The church has been able to provide that space for the last 16 months. Educational Services & Scholarships comprise the bulk of our programming and the heart of our mission. From free English classes, to college scholarships, to one-on-one tutoring and after school support, Mano en Mano believes that education is a tool that can make dreams possible and realize social justice. Outreach & Community Events ensure that Mano en Mano can effectively reach and serve their constituency while building bridges between various and diverse communities. Affordable Housing provides farmworkers who want to settle in Milbridge, ME with an opportunity to live somewhere that is safe, decent, and designed with their needs in mind. In service to their clientele, Mano en Mano | Hand in Hand believes in removing barriers within their community. This philosophy is similar to the core values of United Church of Christ: changing lives, continuing testament and extravagant welcomes. To learn more about Mano en Mano visit http://www.manomaine.org/. Taking a stand against poverty and injustice, the San Francisco Night Ministry (SFNM) strives to be living crucibles of Christ’s care, compassion, and concern for those who find themselves on the streets, or in bars or coffee shops, alone, afraid, and hopeless. As a Neighbors in Need 2010 grant recipient, the SFNM mission states that they will provide middle-of-the-night compassionate non-judgmental pastoral care, counseling, referral and crisis intervention to anyone in any kind of distress every night of the year. The San Francisco Night Ministry staff endeavor to witness and example the teachings of Christ Jesus. This crucial witness is akin to the core values of United Church of Christ: changing lives, continuing testament and extravagant welcome. To learn more about SFNM visit http://sfnightministry.org/. Understanding their call to work and witness for justice and peace, 2010 NIN grant receiver, Church of the Apostles United Church of Christ (COAUCC) of Lancaster, PA uncovered a new purpose. They discovered in the local newspaper a ministry to at-risk adolescents as an alternative to street gang membership. The ministry, DigIt, teaches life skills through youth centered programs with a focus on sustainable agriculture. Following the prompting of the Holy Spirit, contacts were made, relationships were built and a partnership ensued. In March 2010, COAUCC offered part of their 21 acre green space at no rental fee to DigIt so the organization could add gardening space to grow, harvest, and sell more produce while transforming the lives of area youth. COAUCC fertilized, plowed and tilled the soil at no cost. DigIt promotes gardening without chemicals and pesticides. Harvested vegetables are sold in the city. Produce is also taken to urban low cost housing communities and sold at affordable prices door to door. The enterprise between Church of the Apostles UCC and DigIt underscores the core values of UCC: changing lives, continuing testament and extravagant welcome. To learn more about COAUCC visit http://www.apostlesucc.org/. For more info on DigIt visit http://www.thresholdpa.org/. Just Economics (JE) is a small non-profit, advocacy organization whose mission is to educate, advocate, and organize for a just and sustainable local economy in Ashville, NC. JE works on issues of economic justice primarily centered on root causes of poverty including wage disparity. In 2010, Just Economics received a Neighbors in Need grant for their Economic Justice program entitled Voices. Voices is an eight-week leadership training program designed to help low-income people find their Voice and advocate for themselves and others. Just Economics staffs bear witness to the core values of the UCC: changing lives, continuing testament and extravagant welcome. For more info on JE visit http://justeconomicswnc.org/. “A free paper for free kids”, is the slogan for IndyKids, a progressive news publication for young people. Educating and informing kids about issues of social justice, racism and human rights, IndyKids encourages them to form their own opinions. Founded in June of 2005 and based in New York, NY, a group of independent journalists, students, parents, teachers and activists, with the help of the NYC Independent Media Center, recognized the need for kids to be exposed to progressive current events news. It was the desire of this group that the material would be presented in a way that would interest and engage young people between the ages of 9 to 13 (or in grades 4 to 8). Additionally, IndyKids can be found and followed on social networks such as Facebook and Twitter. There people can connect and learn more about current events and the newspaper. A recent magazine featured important articles that focused on issues tagged as Supreme Court - “Choosing a New Justice”, Immigrant Rights - “Arizona Law Sparks New Fight for Immigrant Rights”, and Environmental Spills - “Oil Spill Out of Control in Gulf of Mexico”. Moreover, each publication often contains book reviews, history lessons and letters to the editors written by the kids addressing current events. To subscribe or read past issues, visit www.indykids.net. Understanding their mission is to witness for justice, Memphis, Tennessee’s Workers Interfaith Network (WIN), is a humble, yet powerful group of people who assists workers protect their rights as employees from exploitative employers. WIN has developed a reputation in TN as the organization that can assistance a worker recover monies when they have suffered “wage theft” by an unjust employer. Unfortunately, wage theft is becoming a common act of withholding an employee’s wages by the employer. When employees these face economic hardships at the hands of their employers, it is their family’s that suffers this unimaginable injustice as their basic needs are no longer met. This forces some to further struggle to move out of hunger or poverty. Furthermore, Workers Interfaith Network was honored as one of ten grassroots organizations nationwide that received the 2009 Harry Chapin Self-Reliance Award. The award provides a $7,000 grant to groups who have been “judged outstanding for the innovative approaches to fighting domestic hunger and poverty”. For more information about WIN visit www.workersinterfaithnetwork.org. Executive Director, Mr. Hugh Espey, states that “CCI has helped thousands of its members across Iowa from all walks of life – whether urban or rural, black or white, immigrants and lifelong Iowans - we work together to get things done. CCI staff has over 100 years of combined experience to provide training and expertise. However, it’s our members that provide the focus and the leadership and the power in numbers”. As a 2009 Neighbors In Need grant recipient, Iowa Citizens for Community Improvement, whose current slogan is “We talk. We act. We get it done.”, understands that their success hasn’t anything to do with money; it isn’t titles; it’s the power that comes from thousands of citizens standing together and getting things done. In April 2010, the series finale for PBS’s “Bill Moyer’s Journal”, a weekly public affairs program, featured a 20 minute segment about the powerhouse known as CCI. You can follow CCI events on Facebook and Twitter. For more information about CCI visit www.iowacci.org. Being an intentional witness for justice, while envisioning a world free from discrimination and oppression, Toledo Area Ministries (TAM), the Erase the Hate (EtH) Campaign is a growing collaboration of Toledo, Ohio area religious, educational and community organizations and agencies working together to develop programs that promote a their vision of a community where all races, religions and cultures live in peace, harmony and mutual respect. Moreover, the Erase the Hate mission is to encourage an appreciation of diversity even as they work to eliminate discrimination and racism. Understanding their call to witness for justice, Urban Mission Experience/St. Louis, a program for youth in grades 6 -12, strives to implement to provide youth groups with a meaningful “mission” experience within the city of St. Louis, Missouri. New program coordinator, Ms. Sue Kupfer, confesses that several incidents have moved her heart during her brief tenure. Furthermore, she is “touched by the youth that come to work with us and the transformation that occurs for some as they experience how God's love and grace touches lives”. After “walking "The Trail", Ms. Kupfer writes, “Josh wanted to talk about how he felt. He stated that after this experience he would not view people in the same way. When noticing a person walking around with a backpack, he would not assume they were a student, and when noticing someone carrying a suitcase he would not assume that they were a traveler. With tears in his eyes he said very softly, "They could be homeless and need our help". Josh’s message brought tears to my eyes. It meant that he "got" what we hope that the youth coming to UME/STL will understand.” As a 2008 Neighbors In Need grant recipient, UME/STL’s goal is to try to open the eyes of young people to things that go on in their city; issues of poverty, hunger, oppression and discrimination. For more information visit: www.umestl.org. Moreover, Ms. Plummer believes that “new victims of poverty will increasingly turn to those positioned at the community level to best meet their immediate needs, point to the moral outrage of poverty, and demand its end.” During 2008 -2009, Poverty Initiative Scholars Program will train over 150 people from more than 35 low income communities. The training sessions will be convened over a series of three, four day “Strategic Dialogues” in New York City as well as a weeklong “Leadership School” which takes place in Charleston, West Virginia. The signature event of Poverty Initiative is the Poverty Truth Commissions which are inspired by the Truth Commissions held in South Africa and elsewhere. As a 2008 Neighbors In Need grant recipient, Poverty Initiative is determined to “finish the unfinished business of Rev. Dr. King” to eradicate poverty. Additionally, in 2007-2008, PI commemorated the 40th anniversary of Dr. King’s, “Poor People’s Campaign” during which numerous educational and public events were sponsored. Visit www.povertyinitiative.org for more information. In 2007, Center for Artistic Revolution (CAR), an organization that works tirelessly for Fairness and Equality for All Arkansans, saw many successes. They were able to see a three-year campaign win the removal of all American Indian culture and imagery that was used as mascots. CAR served as an anchor group in the coalition to defeat SB 959 within Arkansas legislative session. This bill would have prevented lesbians, gays and unmarried heterosexuals from adopting or providing foster care. It would also have prevented these individuals from adopting their blood relative’s children. Being a witness for justice, envisioning a world free from discrimination and oppression, CAR co-hosted the 1st Annual Arkansas Queer Coalition Conference continues work to increase the capacity and participation of LGBTQ Arkansans. Their work with the Citizens First Congress generated an HIV/AIDS Minority Task Force being appointed by the Governor to examine and then make recommendations regarding the disparities in access to prevention, treatment and other resources experienced by People of Color. The organization’s youth program, Diverse Youth for Social Change (DYSC) is open and affirming to all youth and young adults 14-23 regardless of race, ethnicity, gender, sexual orientation, gender identity, religion, ability, etc. Currently, DYSC has over 65 members who work in an intergenerational model that shares the power and decision making for the organization. This “Neighbors In Need” grant recipient, partnering with their sister organization, Arco Iris Earth Care Project, will work to see that the Earth School Project is built on a land trust managed by Arco Iris. Together, they will implement rural micro enterprise projects, Child of the Earth Camps that focus on sustainable living practices and permaculture, retreats for community members, activists and organizers, a natural healing clinic, and a training school for organizing and advocacy skills. For more information visit: http://www.artisticrevolution.org/content/index.php. Does your church or ministry group want to host a Justice LED Facilitator Training? Click here for more info on Justice LED and how it is being used by local churches. More Trainings to come; see when they're happening in your area, or contact us to schedule one! What is Justice Leaders Engaging and Developing? 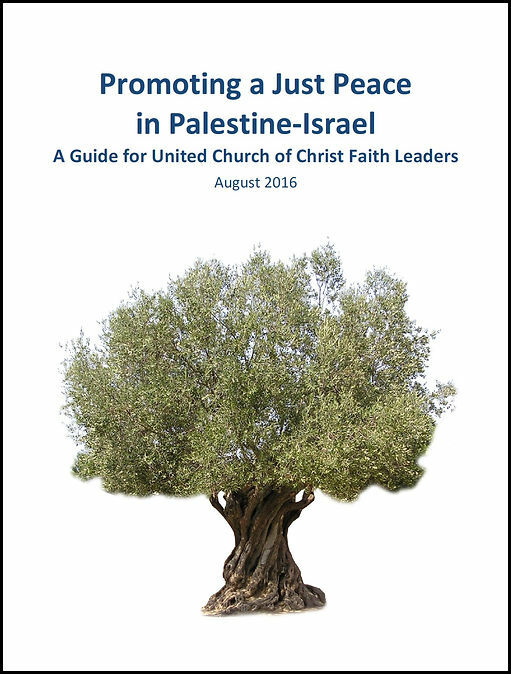 • Download the Justice LED Planning Guide to host a training and use Justice LED! There is a parable that describes individuals coming down a river, struggling to stay afloat. Villagers quickly responded by helping people out of the river and caring for them. But the people kept floating by and the villagers kept rescuing them. In time a few of the villagers decided to go up the river to try to end what ever it was that was causing people to fall into the river. The church is really good at “downstream” responses. Charitable actions and direct services such as soup kitchens, clothing closets and emergency funds are vitally important – they must be done. Unfortunately, they are not enough to sustain the long-term social change we pray for and long to see. To build the realm of God we need to not only continue to offer mercy by the riverside but also go up river and work for justice. The Justice Leaders Engaging and Developing (Justice LED) program is a faith based, biblically grounded curriculum and leadership training resource. It is designed to support local church members – laity and clergy – who wish to develop and strengthen their congregation's justice ministries. The one-day training includes Bible study and theological reflection, socio-cultural exploration and practical tools for building justice into existing ministries and mission. If you are interested in exploring the possibility of hosting a Justice LED training or simply want more information contact our Justice LED organizer, Peter Wells.